The One-Tap payment comes with an intuitive in-app experience for customers and a monitoring and management app for the merchants. Players can top-up their wallets and get back to the game quickly without friction. The merchants can monitor and manage One-Tap payments along with real-time notifications with Newgen Guru App. We are focused in providing the gamers on your platform the most intuitive and innovative ways to pay. Reconciliation is no more a challenge with our Automated Reconciliation. Focus on giving your customers the best experience while we automate the process of reconciliation and settlement for you. Easily send and manage payments to large number of recipients simultaneously. 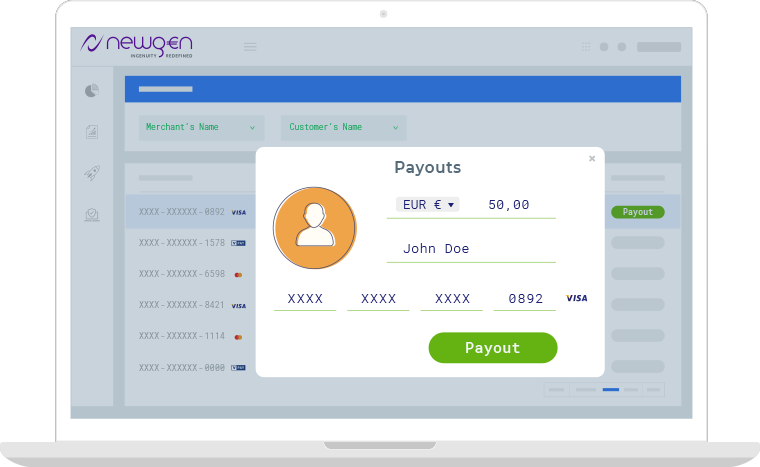 Payouts with Newgen are fast, low-cost and intuitive. 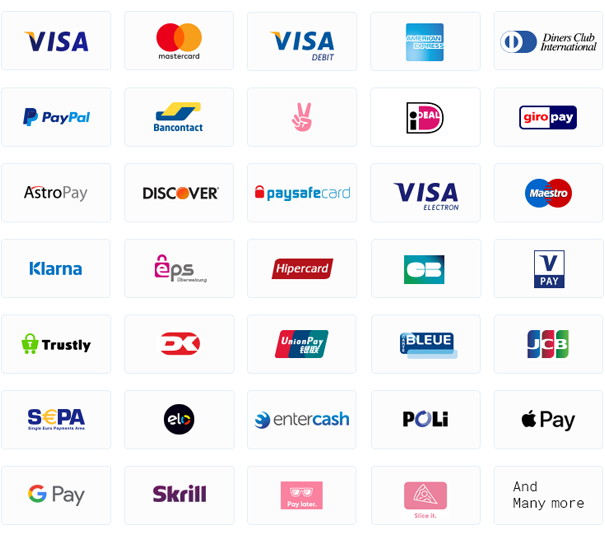 Newgen supports all major payment methods all over the globe. Your customers pay using payment methods they trust and are accustomed to. No limitations on payments whatsoever.